The outgoing Thai ambassador Prasas Prasasvinitchai said Tuesday that his government will submit a petition to Cambodian government in order to ask Cambodian King Norodom Sihamoni to grant a royal pardon to the two high-profile "Yellow Shirt" activists jailed in Cambodia for espionage. The ambassador made the remarks during a farewell meeting with Cambodian Foreign Minister Hor Namhong on Tuesday. The ambassador also told reporters after the meeting that so far the two Thais have not signed the letter for royal pardon yet. "As soon as they sign the request, I will present it to the Thai Ministry of Foreign Affairs; then, ask the royal government of Cambodia for high consideration," he said. The two Thai prisoners are Veera Somkwamkid, one of the leaders of the People's Network against Corruption and a high-profile activist in the Thailand Patriot Network, and his secretary Ratree Pipatanapaiboon. The Phnom Penh Municipal Court, on Feb. 1, convicted Veera and Ratree of illegal entry, unlawful entry into military base and espionage and sentenced them to 8 years and 6 years in jail respectively. 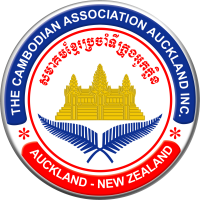 Koy Kuong, the spokesman for the Ministry of Foreign Affairs and International Cooperation,declined to comment if Cambodia will consider royal amnesty for the duo. According to Cambodian law, a prisoner can be granted a royal pardon only if he/she has served two third of the jailed term in prison. Meanwhile, the ambassador also said that Thai government will hold an internal meeting on Wednesday to decide if it will join the ASEAN-arranged meetings on Cambodia-Thai General Border Committee (GBC) and Joint Border Committee on Demarcation for Land Boundary (JBC) in Bogor, Indonesia on March 24-25 to resolve the border dispute between the two countries.